Winter jacket for ladies. Very comfortable. Cotton wool padding and three-button hood. Turtle-neck. Zipper pockets. Half length. No-elastic waistband. Soft and comfortable fit. 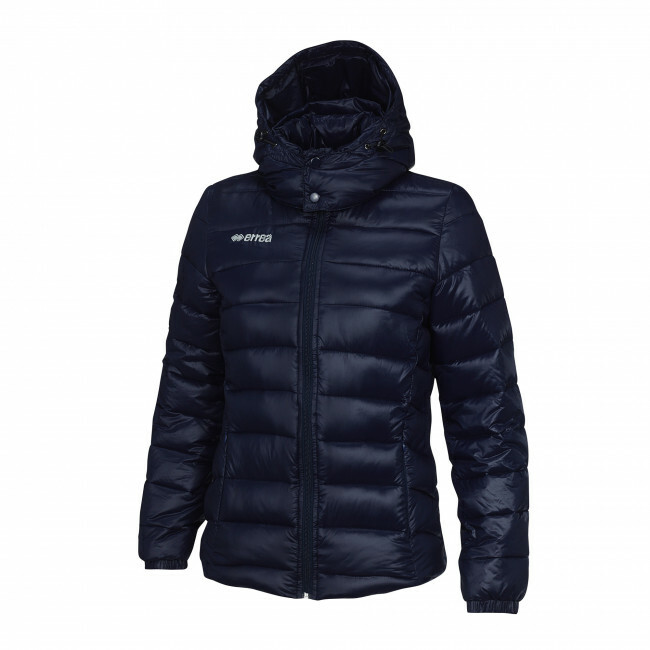 Jay by Erreà is a winter down jacket for ladies. With this warm and comfortable winter jacket, the cold, the snow, the rain and the wind will no longer bother you. 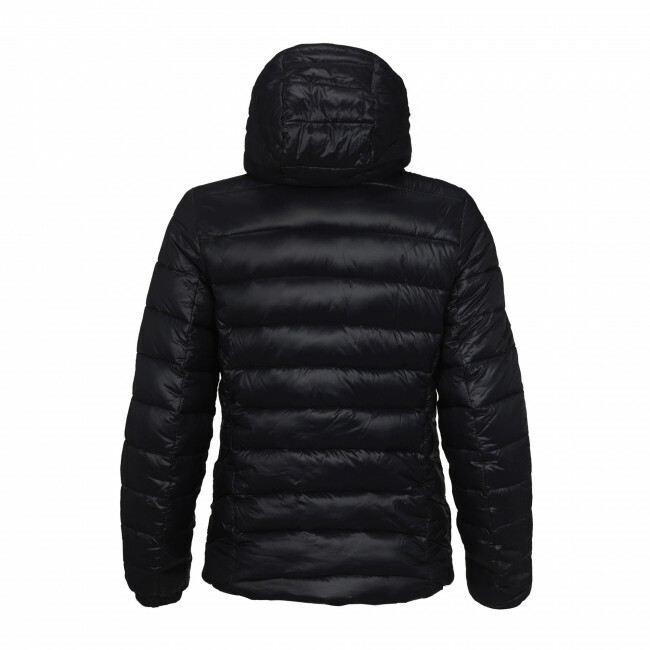 It is padded in cotton wool, assuring a warm protection against the most intense cold. The outside is waterproof thanks to a special treatment. Its turtle neck with three buttons and the hood improve this garment comfort and warmth even in the harshest conditions. At the same time, the non-elasticated waistband provides comfort and ease of wear in any occasion. Keep the chill at bay with this winter jacket for ladies, that combines a polished style with practical details such as the front zipper pockets, to carry your personal effects with you at all times or to protect your hands from the cold weather.